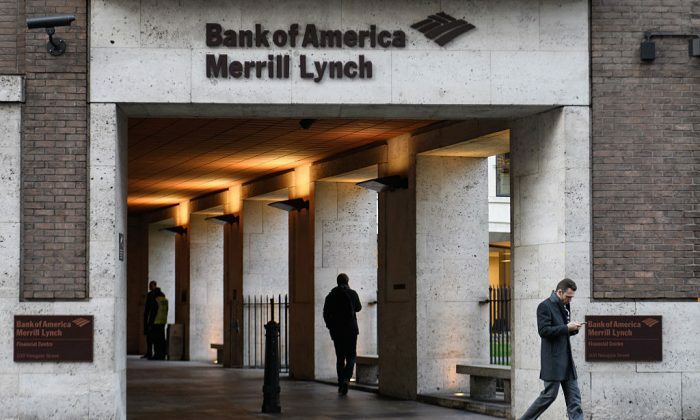 Bank of America Corp. said on April 5 that more than half of its branch network will be modernized over the next three years to respond to changing consumer behavior. By 2021, Bank of America’s branch and ATM network will cover more than 90 percent of the U.S. population, said David Tyrie, head of consumer advanced solutions and digital banking. Charlotte, North Carolina-based Bank of America said on April 5 that it will expand its retail banking presence in two new markets, Cleveland and Lexington, Kentucky, next year as part of a previously announced pledge to add 500 branches. The expansion is expected to add up to 5,500 jobs in local markets, the bank said April 5. Last year, JPMorgan Chase & Co., the largest U.S. bank by assets, started adding bank branches in new cities for the first time in nearly a decade. The bank, which has roughly 5,000 branches nationwide, said it would open locations in new cities and markets such as Boston, Washington, D.C., and Pittsburgh. By 2022, 93 percent of the U.S. population will be in JPMorgan’s “Chase footprint,” Chief Executive Jamie Dimon said in his 2019 annual letter to shareholders. Bank of America has about 4,300 branches, according to its most recent filing, down more than 1,000 from its peak.